Can we ever get enough of celebs? We love their style, their look, and how they entertain us on TV, movies, and even on our phones through social media. We want to know where they are, what they're doing, what they're eating, and even how they do their beauty regimen. 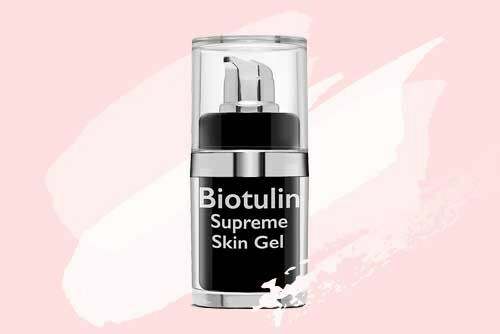 Taking a closer look at their lifestyle has already impacted ours; that's fine, too, especially when we take cue from our fave stars about skincare. After all, anyone can become kutis artista; we just need to be properly guided. Now, spilling our Flawless insider info, here are the Top 7 Flawless Facials that local stars swear by. On and off-screen, any artista can easily captivate fans with a radiant glow. That's why actresses Maxene Magalona and Cai Cortez usually go for All-Natural Ultimate White Facial (ANUW) that brightens the skin instantly. ANUW smoothens and rejuvenates the skin with the use of combined natural ingredients from the Dead Sea. And with its natural formulation, this whitening facial is ideal for those with sensitive type of skin. Wondering how young stars keep their face looking fresh and pimple-free despite their busy sched and constant use of makeup? The answer is our tried and tested Acne Control Advanced Facial that teen idols Bailey May and Hashtag CK depend on. Acne Control Advanced Facial Targets acne-causing bacteria while delivering healing and soothing benefits to the skin with the use of a cooling green oxygenating mask. Here's another facial secret that young stars can't get enough of -Advanced Mask with Rejuvelite Facial. Funny girl Kiray Celis says she loves this facial because it combines a “very futuristic” LED mask with the Flawless Advanced Mask. Rejuvelite uses LED color light technology to penetrate several layers of the skin to repair damages at a cellular level. That's how Kiray keeps her skin balanced, rejuvenated, blemish- and shine-free by getting her favorite facial bi-monthly. 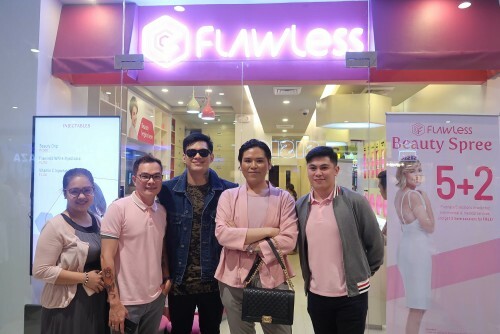 Like any other artistas on-the-go, Zeus Collins have a tight sched that barely permits a relaxing facial sesh. To squeeze in a quick skincare fix, this Flawless God of the Dancefloor opts for the 30-minute Rejuvelite Insta Facial. Insta Facial also uses LED color light technology to heal and keep the skin balanced. As for Zeus, he gets Insta Facial to prevent zits and excessive oil production for that Flawless TV close-ups. Here's a facial combo that both model-entrepreneur Divine Lee and MOR 101.9's DJ Chacha religiously get to keep their skin bright and youthful-looking-Nano Powerpeel with Advanced Mask. Nano Powerpeel helps lighten, rejuvenate, soften, and even out the skin through microdermabrasion. It also helps reduce the appearance of pigmentations and leaves an instant brightening effect. Dull skin is a no-no for TV stars, that's why comedienne Chariz Solomon keeps her skin clear and radiant with Platinum Peel, which she also tops with an additional Flawless White Mask. Platinum Peel promotes skin renewal by removing dead skin cells using a diamond-tip wand, resulting to a lighter, cleaner, and more radiant skin. Known for her iconic teleserye character Amor Powers, Jodi Sta. Maria keeps her beauty aura powerful with Flawless Power Facial (Php 5,500). Leading actress Jodi Sta. Maria is one of the most hardworking stars today but she knows how to relax by taking a vacay and getting a beauty pampering at Flawless. Her favorite? It's the innovative Power Facial that rejuvenates the skin and improves damages caused by the sun by combining abrasion and vacuum. Power Facial also nourished the skin at a cellular level by nutrient-rich and hydrating serums. Now that's a powerful beauty treatment! There you have it, the 7 go-to facials our Flawless celebs. Feeling a major beauty envy from their skin-loving pics and selfies? Book an appointment today and try these facials at a Flawless clinic near you! © 2016 7 Celeb-Approved Flawless Facials. All Rights Reserved.